Although I learned about The Sounds of Brazil – the Chicago-based internet radio station – this past summer, I am glad I waited until now to write about them. While I applied my marketing and publicity efforts to help promote Avi Wisnia’s “Sky Blue Sky,” Scott Adams, the Creative Director of this music outlet, dedicated his time to helping disperse Avi’s single to Bossanova fans all over the United States. For two weeks after “Sky Blue Sky’s” official digital release, The Sounds of Brazil broadcast the single multiple times. As a symbol of thanks and reciprocity, which seems perfectly fitting with the holiday theme of November, I want to introduce my readers to The Sounds of Brazil. “We’ve helped indie musicians, labels, club and concert venues and tour promoters involved with Brazilian music reach their goals,” writes Scott in his media guide. To also provide readers with some additional background information of The Sounds of Brazil, this radio station, and the web-based social directory at Brazil Club work together. They have partnered with TuneGenie for real-time music information and with iTunes and Amazon for digital point of sales. While I think that The Sounds of Brazil’s B2B partnerships look impressive, what I feel contributes more to the success of any business, is their customer relationship and the knowledge they have about their end-user. Those who have worked closely with me in the past would know that I could have gathered any information the Bossanova listener who chooses internet radio as their preferred medium of consuming entertainment from investigating marketing datasets via my alma mater, Baruch College. However; Scott showed me that the best data about any music lover who consumes a specific genre via internet radio is best provided by the web-based radio stations themselves, as they know their product and their customer best. Listeners who tune into The Sounds of Brazil, stream the station five times weekly, and they listen for 91 minutes daily. The end-user listens to this station on multiple devices: FM radio; desktop; smartphone; tablet; and Bluetooth car audio. In regards to demographic information about listeners, more men listen to The Sounds of Brazil than women, and more than half of these listeners make an income of $50K annually. They are most likely to be between the ages 45 and 54, will have a college degree, and will have a passport, speak a second language, and travel internationally. Aside from playing Bossanova music, The Sounds of Brazil has helped music-centric clients like Sony Latin, Ravinia Festival and Les Sabler with effective marketing programs. Sony wanted to roll-out its “Sounds from Brazil,” CD series, when they partnered with United Airlines for the launch of its Chicago/Sao Paulo gateway. Together with The Sounds of Brazil, Sony Latin recruited a major retailer for in-store signage at multiple locations to promote a VIP contest for the inaugural flight. The program’s success initiated a year-long support campaign that included in-flight airplay of selected Sony titles from the CD series. Meanwhile, Ravinia Festival has been frequent partners with The Sounds of Brazil for Brazil’s A-List musicians when they tour through the nation’s 2nd largest media market. The radio station helped deliver full house audiences for Grammy-winning performers including Milton Mascimento, Bebel Gilberto, Caetano Veloso, Gilberto Gil and many more. For Les Sabler, The Sounds of Brazil created an eight-week targeted marketing program for the indie guitarist to accommodate his budget considerations and performance schedule for the release of “Jobim Tribute.” This plan included pairing airplay with Brazil Club directory integration, radio spots, and a series of YouTube clips with email support. The results of this project: Amazon sales that charted #5 in Brazilian Jazz, #9 in Latin Jazz, and #85 in Latin music downloads. My summer of 2015 included plenty of interesting work and many exciting changes. 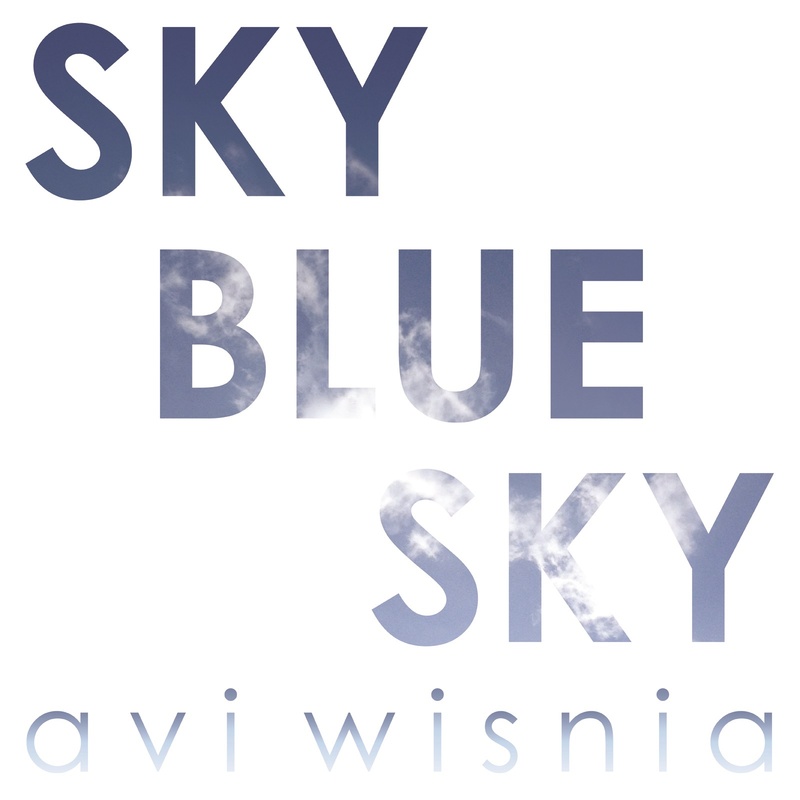 I helped Avi Wisnia; the Bossa-Nova inspired pop musician who has graced Music Historian as a featured artist and an entry in Event Diary, announce his new song “Sky Blue Sky.” I feel humbled to have contributed some of my time to this project. I have seen a lot of positive reception from radio stations in New York, Pennsylvania, New Jersey and even Chicago. One music director from a Pennsylvania station said “Sky Blue Sky” reminded him of Stan Getz’s instrumental song “So Danco Samba.” Avi’s new track, however, includes vocals and lyrics. The verses in “Sky Blue Sky” tell a story of the musician’s vivid memories of playing music on the Brazilian Ipanema beach, hiking along the Italian Amalfi coast, sailing in the San Francisco Bay, lounging on the rooftops of Philadelphia, and more. One day, as he laid on the beach in Cape May, New Jersey – at the time, he was also experiencing “songwriter’s block” – these memories floated back to Avi. On the subject of Cape May, I spoke to the music director of a radio station in this town who remembers Avi from when he visited. This director played “Sky Blue Sky” for Cape May listeners earlier this month. 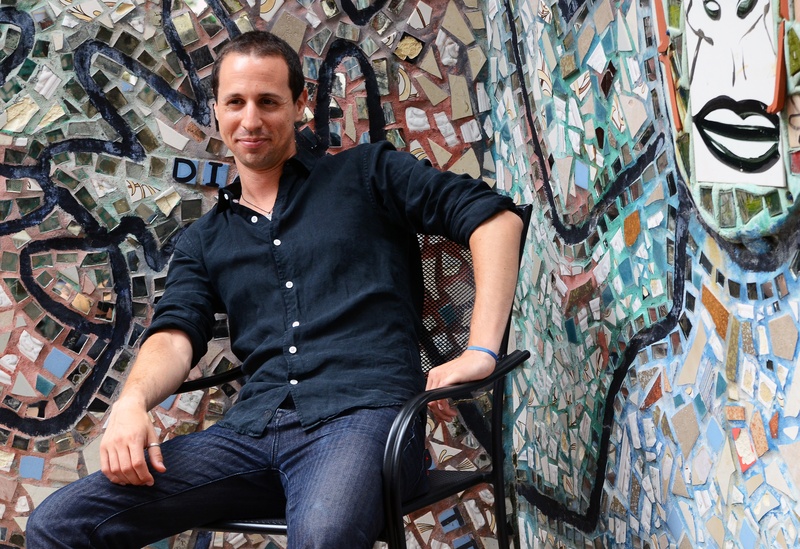 Avi recorded “Sky Blue Sky” this year with bassist and producer from Rio de Janeiro, Bruno Migliari, who has recorded with top-tier Brazilian musicians, Milton Nascimento, Ana Carolina, and Marcos Valle. Although these two met in 2011, Avi found that returning to Brazil for a collaboration with Bruno proved challenging. Both musicians decided to record via satellite and defied logistical restrictions. Avi and Bruno assembled a band renowned Brazilian musicians in Rio, including Marco Lobo on drums, Bernardo Bosisio on guitar, while Bruno recorded his parts in Brazil, and Avi recorded his in Philadelphia. The song opens with a dissonant melody of five notes on the melodica before getting cut-off by an upbeat and major harmony on the guitar. At the same time, a walking bass enters, along with a breezy rattling rhythm on the drums. The melodica returns in the middle of the song, and scatters those that dissonant melody within a major melody filled with chromatic steps and a dance-like tempo. The way this melodica is placed into the song reminds me of the way David Bowie places the saxophone in his most well-known songs, “Changes.” The saxophone is part of a brass section at the beginning of the song that crescendos in the intro just moments before Bowie sings with a piano and guitar in the verses. Listeners do not hear the sax again until the conclusion of the song. Music writers have criticized that Bowie’s lyrics in “Changes” focused on the compulsive nature of artistic reinvention. The only parallel I can make from this criticism with my own of Avi’s “Sky Blue Sky” is that the indie singer-songwriter might lead his fan base to believe he is undergoing some reinvention. However; since Avi has only released a single thus far, it will take an album in the future to decide whether he is trying to bridge his older sound with a new genre and style of songwriting. “Sky Blue Sky” guides listeners down a jazzy path, rather than one of the blues like his previous song on Something New, “Rabbit Hole.” While the title track of his 2010 debut album, along with “Back of Your Hand” and “Nao E Coisa” display some hints of his love for Bossa Nova, these tracks did not showcase how far Avi could trek outside of his comfort zone of American music. Avi takes a strong step forward in musical expansion with “Sky Blue Sky.” What would be important for the Philly-based singer-songwriter is he does not forget the sound that gained him his following in the first place. “Sky Blue Sky” helps listeners step out of what familiarized them with Avi’s sound and taking a vacation to a new musical landscape is terrific; but having that home, that first place, reminds us of why we love getting away. “Sky Blue Sky” will be released everywhere music is digitally downloaded and sold on September 1st. Visit Avi’s Bandcamp to purchase your copy of the single. Finally, to my Music Historian readers, two things. 1) How was your summer? Please write me a comment below this post! 2) You might have noticed that I had not posted in over two months and have wondered whether there is a reason. If you have, I must say, there is a reason. I was in the middle of job interviews, trying to land a job in marketing. I am happy to say I have finally landed that position. Since with new opportunities comes new responsibilities, I must announce Music Historian will undergo some changes. I am not sure what these changes are yet, but I promise they are on the way. In the meantime, I have a few new posts in the next few months on the way too. One will be a post by my first guest blogger in September. The second post will be of an interview with the alternative-country artist from Australia, Ruby Boots. Please standby, happy reading, and happy listening! Enjoy the rest of the summer.